Michael Gove or Rupert Murdoch: who’s copying the online learning homework? Michael Gove and Rupert Murdoch express an interest in online learning. I look into classrooms and they're positively Victorian! …the extraordinarily close links that still exist between publishing tycoon and Tory politician. One of Murdoch’s long-term projects is what he calls a “revolutionary and profitable” move by his media companies into online education. 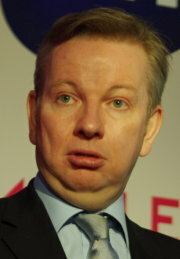 Gove would be a key figure in any attempt to penetrate the British schools market. You can read the full text of Murdoch’s speech on the News International site. The fundamental model of school education is still a teacher talking to a group of pupils. It has barely changed over the centuries, even since Plato established the earliest ‘akademia’ in a shady olive grove in ancient Athens. A Victorian schoolteacher could enter a 21st century classroom and feel completely at home. Now who do you think is copying the homework, children? As presented to Michael Gove! Does this suggest a reason for the recent interest by the DfE in technology in schools? In the early days of the coalition, having immediately abolished the education technology agency Becta, it seemed ICT in schools was deemed peripheral at best. Now it seems that Mr Gove is asking, ‘What can technology do for learning?’ The answers in his BETT address are revealing: ‘disseminate learning…. think about how we teach… unprecedented opportunities for assessment’. Well, it’s a start, if a rather limited one – which is why I gave him a copy of our book, Teaching English Using ICT, to show him that English teachers have been thinking about this for a long time already. What’s that? You’d like a copy as well? Oh, all right then…. We hope the G-8 will strongly affirm that the property rights of artists and creators are more than a matter of protecting cultures. In this new century, they are essential requirements for a dynamic economy and the digital future. Open source software is software which can be used, modified and improved by anyone and can be redistributed freely. Such a philosophy might not always sit easily with those who see education as a ‘revolutionary and profitable’ market, might it? And that’s before we get to the purists of the Free Software Foundation. Still, taking open source seriously, using free software and publicly-funded and freely available content might save schools a lot of money, mightn’t it? Now that might be ‘revolutionary and profitable’, though more in the spirit of Paris 1789 or 1968 than G-8 Paris 2011…. When Mr Gove was a backbench MP, The Times topped up his salary with a £60,000-a-year column. Nice work if you can get it – and something covered here in a blog post last July. Murdoch’s publishing arm, HarperCollins, also gave Mr Gove a book advance in 2004 for a history of an obscure 18th-century politician, Viscount Bolingbroke. ‘Puzzlingly,’ David Leigh writes, ‘the book was never delivered.’ What a fine example to set to the children! Well, Miss, that Mr Gove never did his ‘omework neither! Film least likely to win an Academy Award? 1After all, Michael Gove’s Celsius 7/7, published in 2006, ‘argues that Islamists are waging “total war” against the west, not because of imperialism but because of their root-and-branch rejection of “western values”,’ according to Richard Seymour). I’m afraid that another reviewer found this ‘perfervid pamphlet… remarkably trite’. Harsh words indeed! If you want to judge for yourself, Celsius 7/7 is available from Amazon from only £0.01. This Friday’s Phrase comes at the end of a week of Words of the Day suggested by Powerful People from the British Prime Minister, David Cameron, to the Pope. (See them all on the Twitter feed.) Our phrase is a further gift from the Vatican: Simon Tisdall asks has Benedict met his ‘Murdoch moment’? It seems this Murdoch moment is a gift that goes on giving for those of us interested in language (and why else would you be reading this?). As Alexander Chancellor points out in today’s Guardian, Rupert Murdoch’s own words, that ‘this is the most humble day of my life,’ merit some deconstruction. Rupert Murdoch’s contribution to Word of the Day, incidentally, was hysteria (so unlike anything whipped up by his newspapers, of course). Entertaining and erudite as ever, Michael Rosen today explores how ‘from James Murdoch to David Cameron, the protagonists in the News International investigation reveal themselves with words’. I shall use ‘actually’ and ‘appropriate’ more circumspectly – or, actually, appropriately – in future. What do the Atlanta test-score scandal and the British tabloid phone-hacking scandal have in common? Both cases are widely publicized instances of wrongdoing, appearing to emanate from the top of the organization, and pressing downward. We know that some individuals were involved in the transgressions, but not others. How can something be ‘unspeakable’? This Thursday’s Thought from Word of the Day comes as promised from the Vatican itself (via an intermediary): how can something be ‘unspeakable’ if we can speak of it? Kitchen cabinet feeling the heat: or, is Michael Gove worth less than a bag of washed vegetables? Will Michael Gove also be drawn into the sleaze? In 2009, the Conservatives published a list of shadow cabinet ministers’ outside interests. News International were very generous to him, paying £5,000 a month for his services as journalist for one hour a week. That’s £1,250 a week. It’s not just £1,250 a week – it’s £1,250 an hour, which seems pretty generous pay for a hack. (Hack is used here, of course, as quaint Fleet Street argot for journalist and not implying someone who hacks into phones – though it now seems that in News International these were too often, alas, one and the same person.) Whilst some may take this as a sign that most of us are undervaluing our services to the public by selling them so cheaply, it could be that it’s still not enough for Mr Gove. As an earlier post revealed, Conservative MP Andrew Bridgen is paid £1295.50 an hour as non-executive chairman of a company selling pre-washed vegetables. Surely as a world-class journalist for world-class schools he deserved more? tried to imply an equivalence between Coulson [Cameron’s disgraced communications director] and Miliband’s own press chief, Tom Baldwin, simply because the latter used to write for the NI-owned Times. So if, in Tom Clark’s words, the Leader of the Opposition ‘has turned up the heat’ on ‘members of the prime minister’s kitchen cabinet’, where does that leave members of the actual cabinet who have taken Mr Murdoch’s shilling (rather a lot of them, too)? In old days men had the rack. Now they have the press. That is an improvement certainly. But still it is very bad, and wrong, and demoralising. Somebody – was it Burke? – called journalism the fourth estate. That was true at the time no doubt. But at the present moment it is the only estate. It has eaten up the other three. The Lords Temporal say nothing, the Lords Spiritual have nothing to say, and the House of Commons has nothing to say and says it. We are dominated by Journalism. In America the President reigns for four years, and Journalism governs for ever and ever. Fortunately in America Journalism has carried its authority to the grossest and most brutal extreme. As a natural consequence it has begun to create a spirit of revolt. People are amused by it, or disgusted by it, according to their temperaments. But it is no longer the real force it was. It is not seriously treated. In England, Journalism, not, except in a few well-known instances, having been carried to such excesses of brutality, is still a great factor, a really remarkable power. The tyranny that it proposes to exercise over people’s private lives seems to me to be quite extraordinary. The fact is, that the public have an insatiable curiosity to know everything, except what is worth knowing. 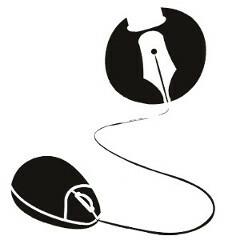 Journalism, conscious of this, and having tradesman-like habits, supplies their demands. In centuries before ours the public nailed the ears of journalists to the pump. That was quite hideous. In this century journalists have nailed their own ears to the keyhole. That is much worse.